If we listen, plant intelligence provides profound insight into ourselves and our world. Imagine the power of not just passively being around plants, but truly interacting with them in a way that you can understand. 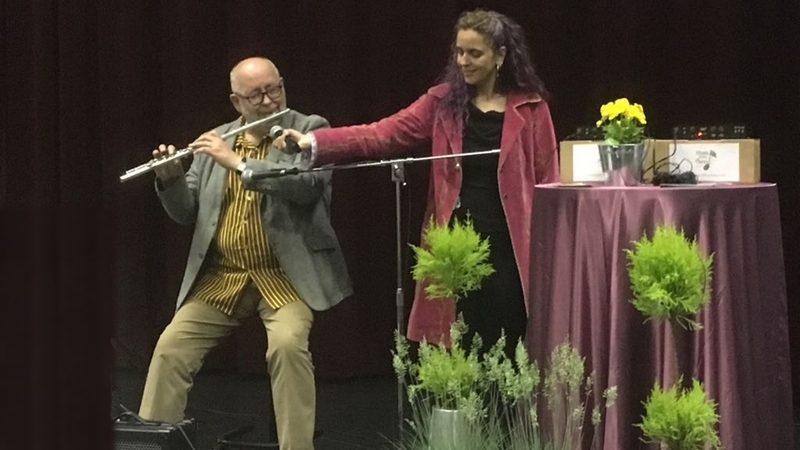 If you love plants, nature and music, you will savor this evening’s event with Tigrilla Gardenia, an Interspecies Researcher and Ambassador of Damanhur, an eco-community in northern Italy. Tigrilla will be sharing her experiences with the effects of plant music on healing and more, and as a special treat, she will be holding a mini-music concert with plants. Using Music of the Plants as her main research tool, Tigrilla is working to reset the matrix between plants and humans. Her research shows that when this connection is strong, plants create music that can heal disease, release chemicals to end depression and create opportunities for unity in dense cities. We are truly honored that Tigrilla is able to take time out of a full schedule of traveling worldwide to promote plant music and plant communication to come for a visit. Come ready to be astounded by what you will learn about interspecies music and true co-creation with the plant world. The use of biomimicry, Music of the Plants and Plant Perception as tools by which we can eliminate the effects of climate change and reverse universal unhappiness. Deforestation, pollution and the human hunger for more create chasms between “our” world and “theirs”, bringing about a separation that has led to many of the personal and world problems we have today. While recycling and hitting “like” on various environmental causes is a great start, with small, individual changes, we could do so much more. Our physical and spiritual evolution is intertwined with that of plants, and we have the greatest possibility of creating sustainable, happy lives in our cities.